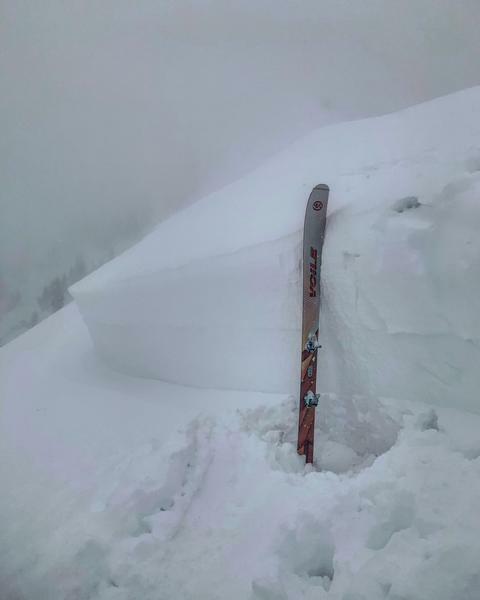 Came across this avalanche this afternoon, not a whole lot of snow on the bed surface, and between the heavy snowfall and massive wind loading I’d say it happened this morning from a natural cornice drop, their getting massive on the ridge lines. 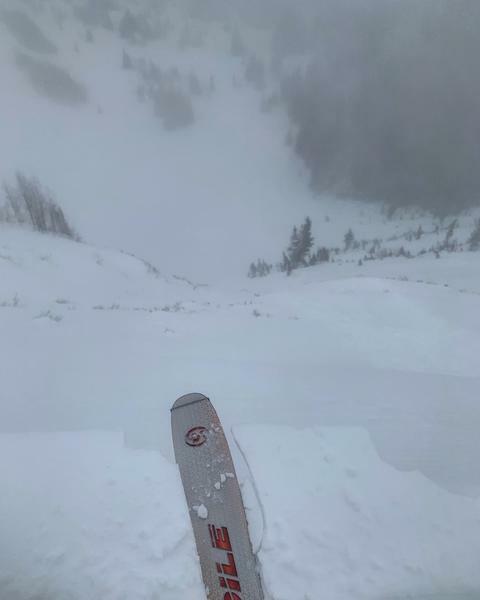 The crown ran from the top of Scott’s Peak across the whole NE facing then propagated across Radar Love Bowl and finally stopped on the SE facing, at least 1000ft wide. 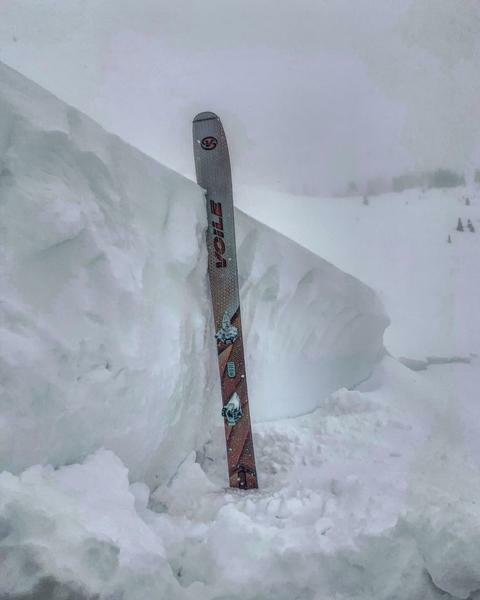 The slide pulled out on depth hoar of facets at the ground interface, a lot of this slope has avalanched at least once this year but no where near this big and connected.